Meat Free Monday & Not Dogs present... the Meat Free Mondog! 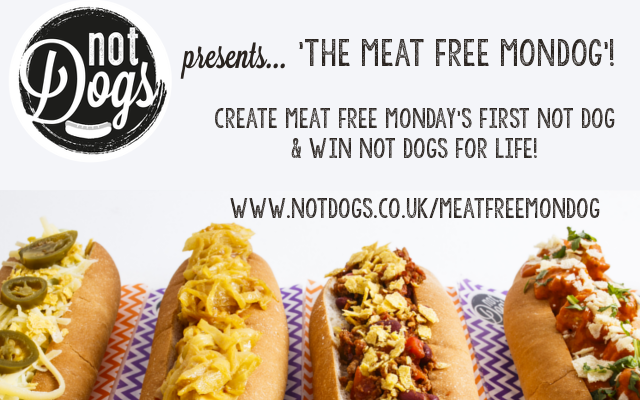 Meat Free Monday and Not Dogs are coming together to invite you to create the one, the only…. 'Meat Free Mondog’! This extra special creation which will be featured on the Not Dogs menu at the Birmingham restaurant. Not only will the winning dog appear on the menu but you'll win 'Not Dogs for Life' and an exclusive goodie bag. Two runners up will also receive a goodie bag too! 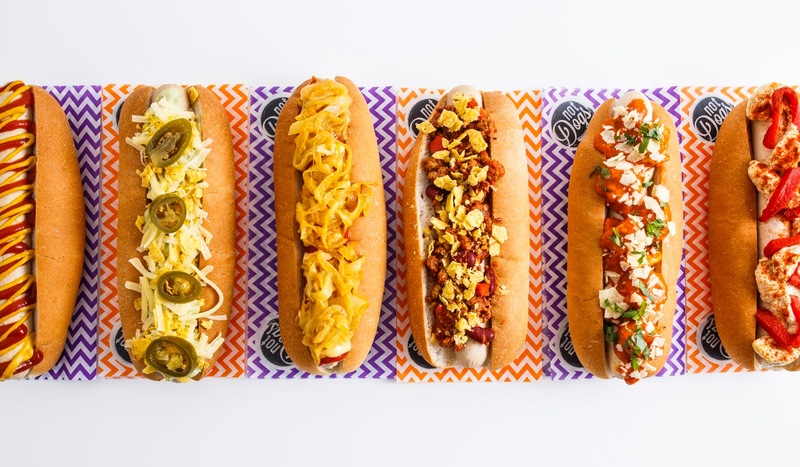 The Not Dogs menu features delicious meat-free 'Not Dogs' with unique toppings such as the Kickin' Katie Nacho Dog - guacamole, grated cheddar, crushed nachos and jalapenos and the Ticklish Tikka - tikka masala with vegan pieces topped with crushed popadums and fresh coriander. All you need to do is tell us what toppings you'd love to see together on the Meat Free Mondog - maybe you like things spicy, or you can't get enough of your homemade Bolognese recipe and would like to see it on top of a Not Dog. 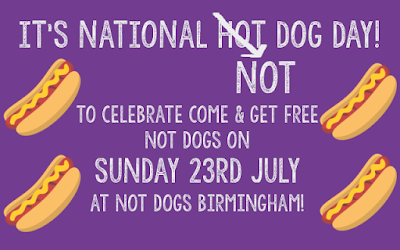 There are no rules but toppings will need to suit either Not Dogs' vegetarian bratwurst which is lightly seasoned or our vegan frankfurter which is a smoked hotdog style sausage. All ingredients must be meat-free…meaty without the meat! Good luck! We can't wait to see your entries... it's making us hungry already! 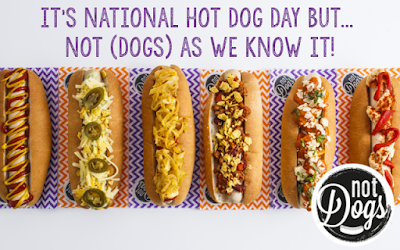 It’s National Hot Dog Day - but NOT Dogs as we know it! 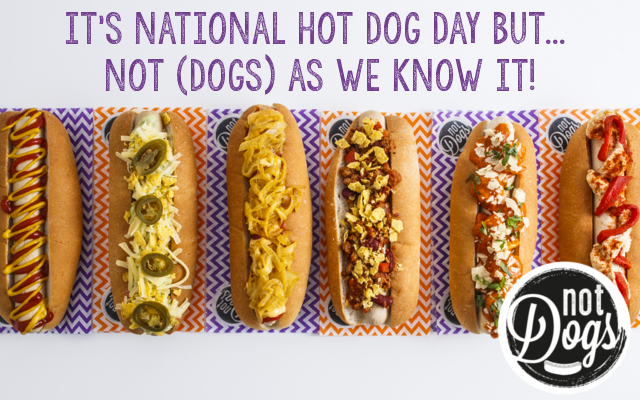 This week marks National Hot Dog Day in the US - a day to celebrate the old-fashioned dog in a bun… but our new fast food is making waves in the UK with our 'Meaty Dogs Without the Meat' - a hot dog (or Not Dog should we say) that’s so tasty you wouldn’t miss the meat. To celebrate National Not Dog day you can devour the Plain Jane for free all day on Sunday 23rd July. Dubbed 'The New Fast Food'; meat free alternatives of our favourite dirty food are gaining momentum across the world - just look at Lord of the Fries in Australia, and the success of Beyond Meat in the US - Not Dogs joins these innovative companies serving up classic fast food menus with a meat-free twist. 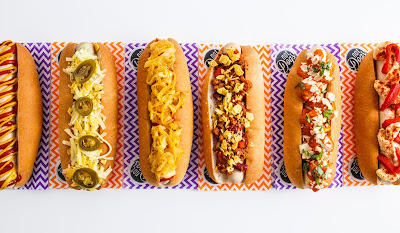 With a unique and exciting menu we created Not Dogs and travelled the UK festival scene for two years before opening the first fast-casual restaurant in the iconic Bullring in Birmingham just before Christmas 2016. Items that fast sell-out include The Original Frank, a Not Dog topped with Heinz Ketchup, French’s Mustard, American Cheese Sauce and our signature recipe of beer-fried onions, The Plain Jane and Kickin’ Katie Nacho Dog (named after the founders) and their newest item The Queen B Burger made with Not Dogs’ Secret Sauce - a burger so juicy meat-eating customers are opting for this over the fast-food alternatives on the market. This year we want to rename this day to Not Dogs Day! Whether you eat meat, trying to reduce the amount of meat you eat, or are veggie or vegan, Not Dogs is a place that whatever your diet preferences everyone can enjoy the fun and excitement of the Not Dogs menu together! We’re reigniting our #SausageSelfie competition in July so tag in your #SausageSelfie across Twitter or Instagram for the chance to win… your sides for free all of July! 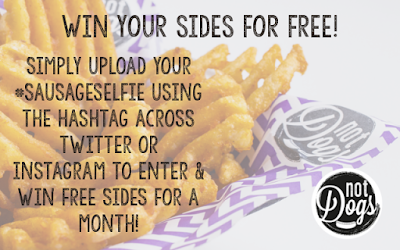 That’s right every time you visit us you’ll receive your sides completely free! 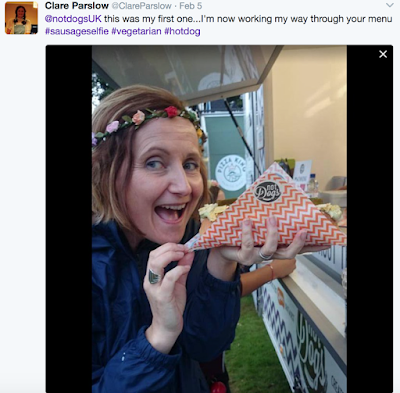 We know not all of our fans can make it to Birmingham (watch this space for new locations) so are very happy to see your past #SausageSelfie pictures (we’d love to see old festival ones!) or take a new one at Not Dogs Birmingham! 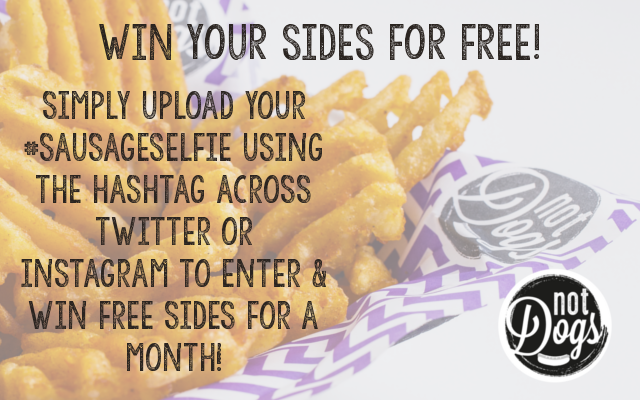 The winner will be announced at the beginning of August ready for them to enjoy free sides on-the-house!